Recently, in construction industry, loss of productivity is being noticed for which owners are changing projects. What we are referring to is “labor productivity”. Labor productivity is unit or measurement of work carried out for a specific time period. Contractors generally propose to do a work on the basis of some assumptions about labor productivity and cost of labor. Loss of labor productivity takes place when contractors take more time to complete a work than is required. 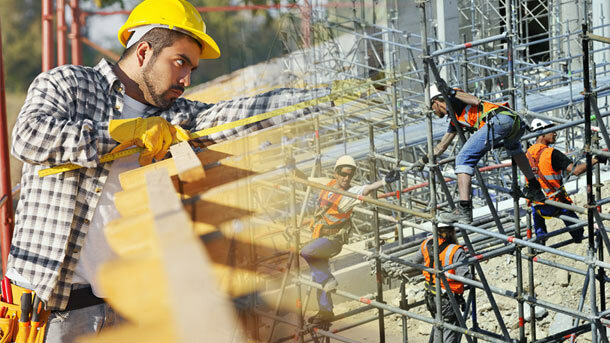 Harmon here mentions seven important factors that affect losses in labor productivity in a particular construction project. On any construction project, adverse weather causes significant loss in productivity. The contract addresses that the contractor can take additional time in case of “unusually severe weather”. It also states about the kind of proof that he has to submit for the claim. Loss in productivity does not only include the days when there is adverse weather but also take into account owner’s delay that forces the project into bad weather condition. This has an impact on the overall performance. A number of trade contractors might work in a particular area, which was not earlier anticipated. This will certainly have an impact on the contractor. Stacking and crowding of trades have significant impact on the productivity of labor. When there is overcrowding of too many contractors on a project then efficiency of labors is reduced. A contractor controls its mode of performance and so, restriction in site access can affect productivity of labors. He should be able to access the actual site and some laydown areas which he might have to visit. The contractor should be capable of meeting the impact created by multiple project changes. This is, at times, called “ripple effect”. Every contractor has a fixed sequence of work or mode of performance. When some changes occur in this, the contractor might be entitled to seek some extra compensation. Certainly, there will be productivity loss if a contractor needs to modify his work plan because of owner’s delay or interference. Overtime work results in increased absenteeism and fatigue and therefore, productivity is affected. Thus, overtime has adverse effect on efficiency of labors. Unavailability of skilled manpower directly affects work schedule and henceforth, productivity. Contractors might have to accelerate work in order to overcome delays. It is quite difficult to recover any extra compensation because of scarcity of manpower. Thus, a contractor should be able to identify the circumstances that can lead to productivity loss. He should have clear report of the causes and its impact on labor efficiency. PreviousPrevious post:Top Practices For The Construction Project Manager To Reduce Stress And Be SuccessfulNextNext post:500D TMT Bar – What makes it Perfect for Earthquake-Prone Areas?